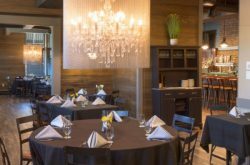 How do we begin to explain our 2017 Buffalo Bloody Mary Fest Presented by Compeer? The 2017 Buffalo Bloody Mary Fest is our second round of last year’s so-popular-it-sold-out-in-4-days afternoon of Sunday Fundaying. Now three times the size of last year’s event and in its new home at RiverWorks, this year’s Fest has lots of new additions and lots of chances to win tickets…so keep on reading! Once again we (Step Out Buffalo duh) are beyond excited to bring back one of our favorite events ever created in history….ever. 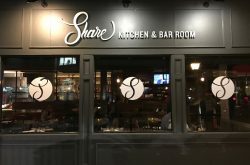 Quick recap: being ~passionate~ lovers of Bloody Mary’s ourselves, the fab team here at Step Out Buffalo decided it was high time to celebrate our beloved drink and showcase the best of the best here in the Queen City with an event that would take Sunday Funday to a whole other level. Our goal is always to 1) create a fun, new, and different types of event the likes of which this town has never seen and 2) support some amazing local businesses in our hometown/make sure everyone knew/tasted why we <3 them. Thus, the Buffalo Bloody Mary Fest was born. 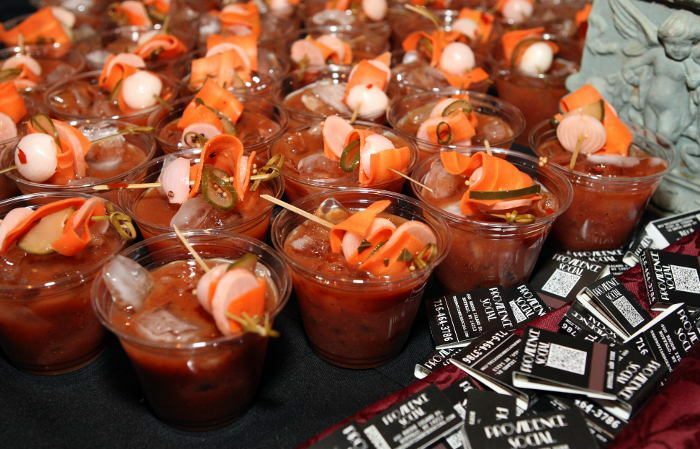 We’re proud to say that this year’s Buffalo Bloody Mary Fest will bring together 39 of Western New York’s finest local businesses to be a part of the best damn brunch fiesta this town’s ever seen. 39 Y’ALL! 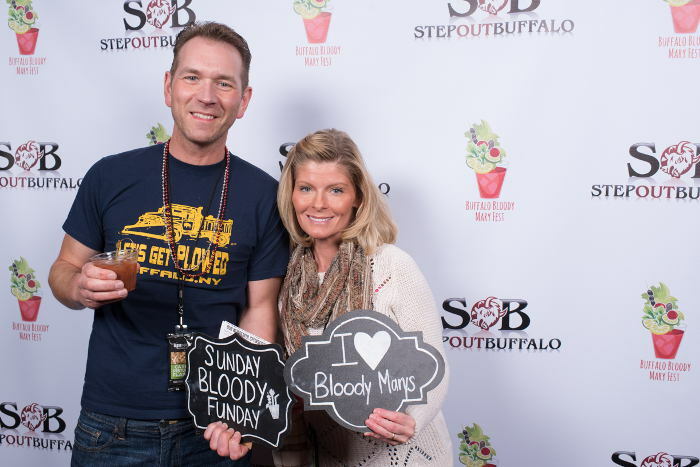 Going to the Buffalo Bloody Mary Fest means that not only will you be Sunday Fundaying your pants off, but you’ll also be getting the chance to meet and interact with some amazing local businesses and meet the people who run them face-to-face. So fetch. If it ain’t broke don’t fix it amirite? For the second annual event some of our favorite staples from last year’s Fest will be making a comeback. 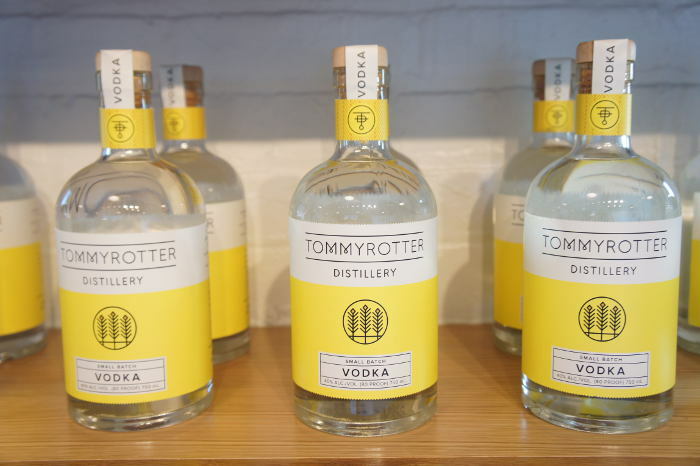 First things first, once again Tommyrotter Distillery’s vodka will be the featured vodka of the event. It’s delicious, it’s locally made, it’s great. Shante you stay. Your bloodies will once again be kept cold by our generous ice sponsor, Arctic Glacier Premium Ice, and the 2017 Buffalo Bloody Mary Fest will have 10 different bars in the house each serving up their own brand new never-before-tasted Bloody Mary that YOU get to try, then vote on. All bars will be competing for the three awards up for grabs: “Buffalo’s Best Bloody Mary”, “Best Garnished Bloody Mary”, and “Most Creative Bloody Mary”, Yelp Buffalo will be bringing back their game station, and the official photo booth station will be set up where you get to have your photos taken ~for free~ by a professional photographer (aka Instagram’s own @artiswhy). Start practicing your poses now folks! Now onto the new additions: This year’s Fest will have bangin’ beats by Step Out Buffalo’s favorite DJ Christian Martinez, water stations provided by Mountain Glacier Water (that means no waiting at the bar and paying crazy $$$ for water to wash down your bloodys, guys! ), and a VIP lounge for all you ballers out there who sprung for VIP tickets. You go Glen Coco. There will also be interactive fun stuff happening thanks to our friends Buffalo Collective, SPACE, and Studio Hue, and all you ballin’ VIP’s will get special goodies from our local eyewear sponsor Visualeyes. More fun *new* stuff going on at our annual Sunday Funday of epic proportions: a garnish station by Orangetheory Fitness, a sickening balloon display by our friends at Balloon Masters, yummy treats from ADK Bloody mary Tonic and Krista’s Caribbean Kitchen, and a special appearance by FabUBus’s mobile spa and salon. Also new this year – all awards will be voted on by attendees using their *smartphones* during the event – the results will be broadcast in real time on the RiverWorks jumbotron. #thefutureisnow. 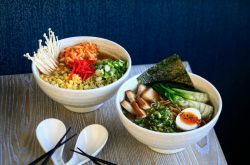 And if you find yourself thirsty for a mimosa or hungry for a bite to eat, RiverWorks will have their concession stand and restaurant open plus a cash bar with even more refreshments. The 2017 Buffalo Bloody Mary Fest is proudly presented by the wonderful non-profit organization, Compeer. Compeer recruits, screens, and matches trained volunteers and mentors in one-to-one supportive friendship relationships with children, adults, military veterans and seniors, who are striving for good mental health. Compeer believes that the healing power of friendship helps to change lives. 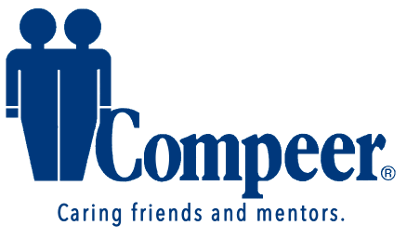 Compeer volunteer friends and mentors become positive role models, help raise self-esteem, increase social and communication skills, and encourage independence for their Compeer friends. Compeer provides a fun, and flexible volunteer opportunity that fits into anyone’s lifestyle, as we only ask for a minimum of one hour per week. There are endless rewards and opportunities for personal growth and satisfaction when you join the Compeer family. To find out how to get involved visit compeerbuffalo.org. 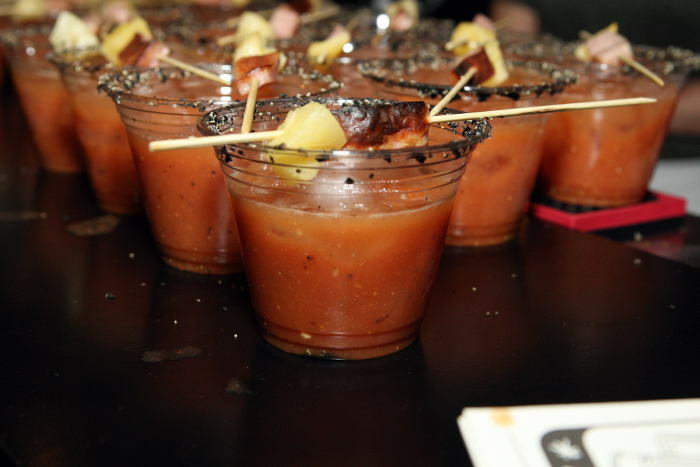 General admission tickets include admission to the event and one Bloody Mary taste from each participating bar – that’s 10 tastes. #math FYI you’ll be sick of bloodys by the end, in a good way. Winning tickets is actually easier than you might think, so hold off on sending us your left arm and first born child…for now. All you have to do to win tickets is follow Step Out Buffalo on Facebook, Instagram, Snapchat (stepoutbuffalo), Twitter, and sign up for email notifications here then keep your eyes and ears open for announcements about ticket giveaways and act fast. That’s it! Of course we couldn’t have pulled everything off without the gracious support of our sponsors, Presenting Sponsor –  Compeer , Hot Sponsor – Balloon Masters, Medium Sponsors – DENT Concussion Center, Orangetheory Fitness, Print2Web, Visualeyes, and Mild Sponsors – All Season Rental, Arctic Glacier Premium Ice, AT&T at Quaker Crossing, Buffalo Brunch, Buffalo Spree, D&M Refrigeration, Mountain Glacier Water, Rolling Hills Asylum, Yelp Buffalo, and Zoladz Executive Transportation. We also want to give a special thank you to everyone helping to make this event a success, including RiverWorks, DJ Christian Martinez, Lauren Kaczkowski, Stephanie/@artiswhy, Mike Shriver/@buffalophotoblog, Taylor Griffith/@inthebuffblog, and Melissa Rechin. All of these fine ladies and gentlemen deserve super recognition for believing in this event and helping make it a reality, so show ‘em some love folks! Tickets: Sold Out …. But follow Step Out Buffalo for exclusive giveaways! About the Organizers: StepOutBuffalo.com is a local website based in Western New York that informs people on the latest and greatest happenings in the area. We’re a popular and ever-growing resource for people all over the region, and now we’re bringing great events to the Queen City that encourage and support businesses in our community!